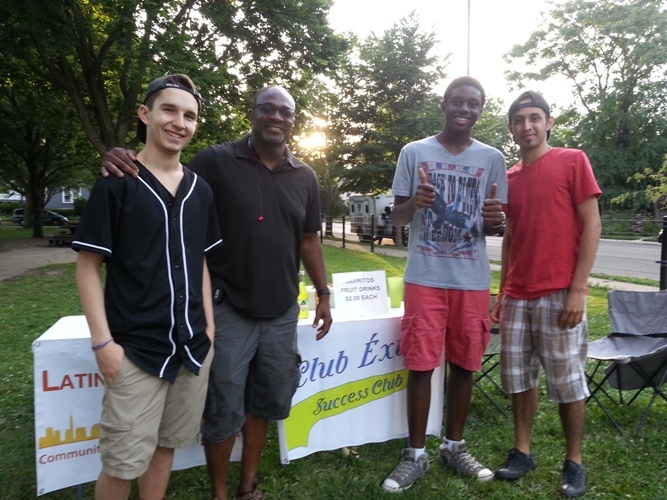 Club Éxito™/Success Club ™ was designed by Dr. Elena Garcia Ansani and launched at a local high school as a pilot program during fall 2013. The vision of Club Éxito™/Success Club ™ is to establish positive youth development strategies for high schools students that will reinforce their choices for both college and career pathways. 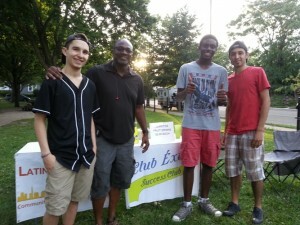 The mission of Club Éxito™/Success Club ™ is to provide enrichment learning opportunities for high school students that promote self-confidence, self-awareness, self-esteem and self-determination. Through Club Éxito’s curriculum model of introducing students to business management experiences, leadership training opportunities, working relationships with adult professionals and college students, Club Éxito members benefit from a network of college ready connections. All students in grades 9-12 are invited to join Club Éxito™ . To register or volunteer call Latino Resources at: 847-866-5916. Club Éxito™ alumni report the Latino News/Noticias Latinas section of the Evanston RoundTable.